Head chef Mathias Bachmann takes a straightforward approach towards cooking at the Elephant Restaurant. Mathias and his team celebrate traditional, classic cuisine with a particular emphasis on high quality and varied, regional produce. It’s a culinary adventure for all the senses. 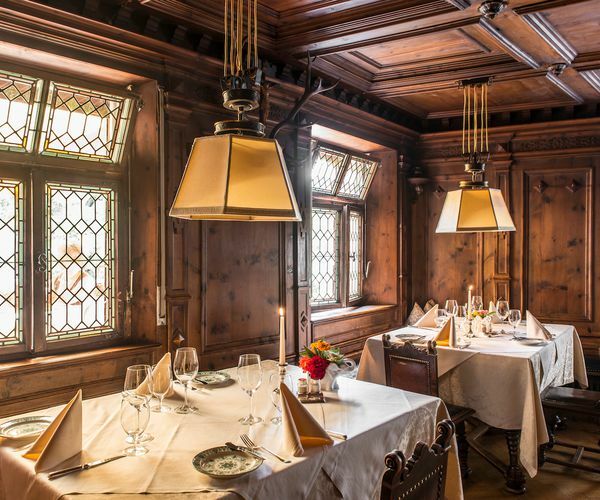 Enjoy a piece of South Tyrolean hospitality in our Zirbelstube and Altdeutschestube, complete with wooden furniture and rich in culinary history. Mathias continues: ‘For me, quality means one thing above all else: Good quality, basic ingredients‘. The Elephant Restaurant is open daily from 12pm to 2pm and from 7pm to 9.30pm. You can choose either from our three course daily menu or eat à la carte. A culinary adventure for all the senses. 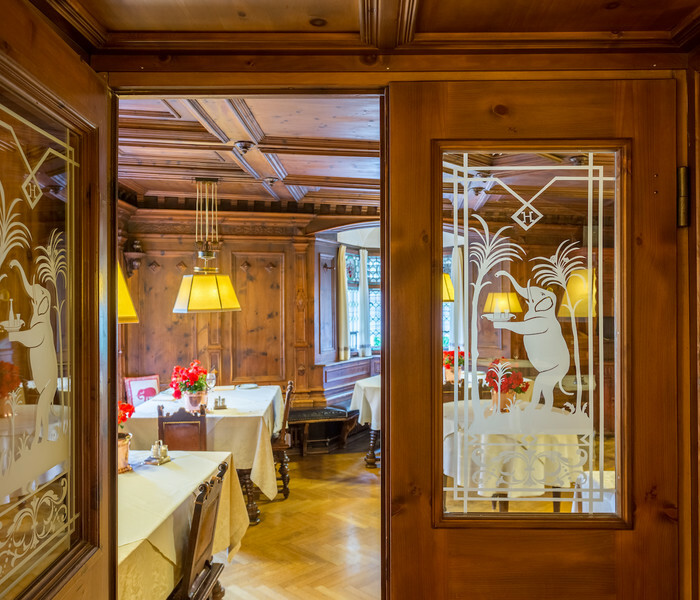 The Hotel Elephant’s restaurant comes in for regular praise in well known gourmet guides such as “Gault Millau” and “Michelin”. 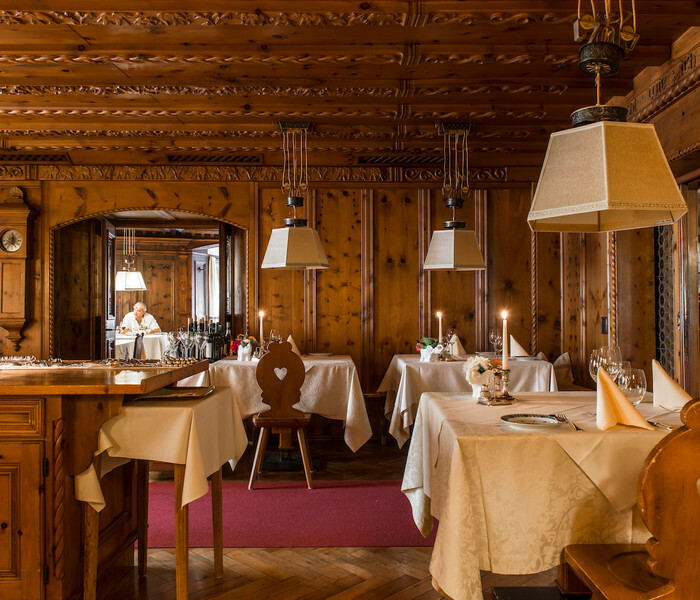 Our service has been awarded the prestigious “Gault Millau Service Award”.